Amazon Studios returned fire on Woody Allen on Wednesday, saying in a court filing that it was “justified in terminating” movie deals with the filmmaker and pointing to his public comments about the #MeToo movement as proof. Mr. Allen, 83, sued Amazon in federal court on Feb. 7 for at least $68 million, claiming that the company’s Hollywood division had improperly backed out of commitments to make and release four movies. Amazon had severed ties with Mr. Allen in June, citing, among other things, a new focus on allegations that he sexually abused his daughter Dylan Farrow in 1992. He has denied any wrongdoing and has not been charged with a crime. Early Wednesday evening, Amazon electronically filed a motion in Federal District Court in Manhattan that seeks to weaken Mr. Allen’s lawsuit by having four of its eight claims thrown out. For instance, Amazon lawyers attacked his assertion that the company unjustly enriched itself by publicizing their partnership — around 2016, before things turned sour — to attract other writers and directors to its stable. A spokeswoman for Mr. Allen did not respond to a request for comment on Amazon’s filing. Amazon’s motion did not address Mr. Allen’s core claims of breach of contract, except to say in its introduction that the company was “justified in terminating its relationship with Allen and plaintiffs ultimately will not recover any of the relief they seek.” The motion, filed by Robert N. Klieger, known for serving as one of the media mogul Sumner Redstone’s go-to litigators, backed up that assertion by painting Mr. Allen as bumbling in managing his public image. “He failed to grasp the gravity of the issues or the implications for his own career,” Mr. Klieger wrote, referring to public comments that Mr. Allen made beginning in late 2017 as the #MeToo movement swept across the globe. 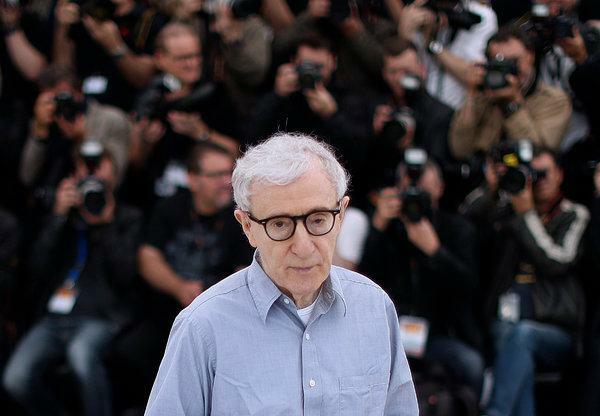 By January 2018, when Ms. Farrow publicly re-accused Mr. Allen of molesting her when she was 7, stars were beginning to distance themselves from him, imperiling future films. “The response from the film industry was swift and damning,” Amazon’s filing said. “Scores of actors and actresses expressed profound regret for having worked with Allen in the past, and many declared publicly that they would never work with him in the future.” Mr. Klieger added that Mr. Allen’s public comments “effectively sabotaged” the release of “Wonder Wheel,” which Amazon pushed into theaters in late 2017. It collected a disastrous $1.4 million in North America. In the meantime, Mr. Allen is planning to make a film in Spain, financed by a conglomerate based in Barcelona. He is expected to begin production as soon as this summer. There has been no word on casting or distribution.